TBS has renewed comedy 'Angie Tribeca' for a fourth season. The series was created by Steve and Nancy Carell. The show is a satire of police procedural dramas and follows veteran LAPD officer Angie Tribeca and her new partner. 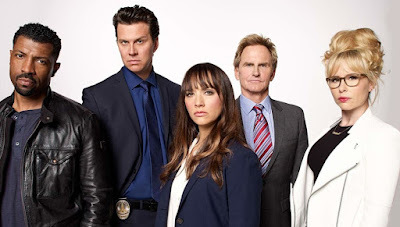 The main cast includes Rashida Jones as the titular character, Hayes MacArthur, Jere Burns, Deon Cole, and Andrée Vermeulen. The latest episode managed a 0.24 in the adults 18-49 demographic and is currently up 12% from its second season. What do you think of this news? Are you a fan of this cop comedy? Leave your thoughts in the comments below.